Sapphire deposits are in India, Myanmar (Burma), Thailand, Sri Lanka, Madagascar and Australia. using colouring agents and Beryllium to change the gemstone’s colour. The resulting pinkish orange colour makes the gem look like a padparadscha sapphire. - Irradiation of very pale yellow sapphires to deepen their colours. The resulting color is not stable and fades upon exposure to light. Most laboratories disclose the presence of heat treatments and fillings, as well as the amount of filling material or the degree of thermal enhancement. unheated gems with a very even, bright and saturated colour, no greyish or greenish tints. A sapphire with a tinge of purple could still be called a royal blue. 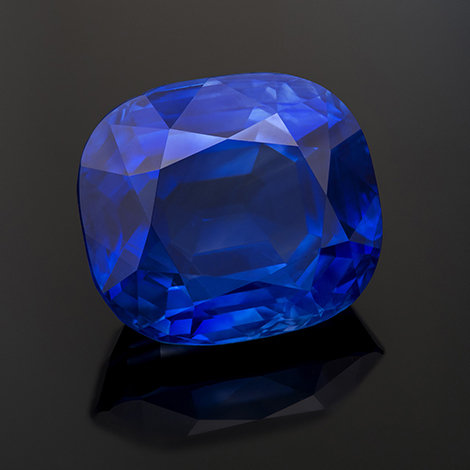 Historically, the only deposits for “royal blue” sapphires were in Myanmar (Burma). But nowadays, sapphires from Sri Lanka or Madagascar can also be called “royal blue”. Sapphire is a very hard material. However, it may scratch. Handle with care and store separately to avoid any risk of abrasion. Corundums do not cleave and are therefore more resistant than most gemstones in the jewellery business. Clean with warm soapy water and dry with a soft cloth.